Steve Blisko (SteveBlisko.com) has had a long and successful career in business and commercial real estate and finance. An investor, Author and Entrepreneur Steve Blisko has developed new marketing, advertising tools and applications for the commercial real estate and finance industry. He has authored books on credit and finance for consumers and businesses. Built successful businesses still in operation today and developed ground breaking applications for the next evolution for sourcing of funds for Commercial Real Estate, ABL and Business Capital needs. Over his 38 years in business Steve has built organizations from the ground up encompassing all disciplines necessary to be successful. Mr. Blisko has built his own companies from the ground up as well including software development and marketing services still operating today. 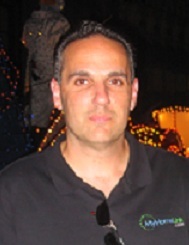 Steve is an avid sports fan, researcher, philanthropist and volunteer.